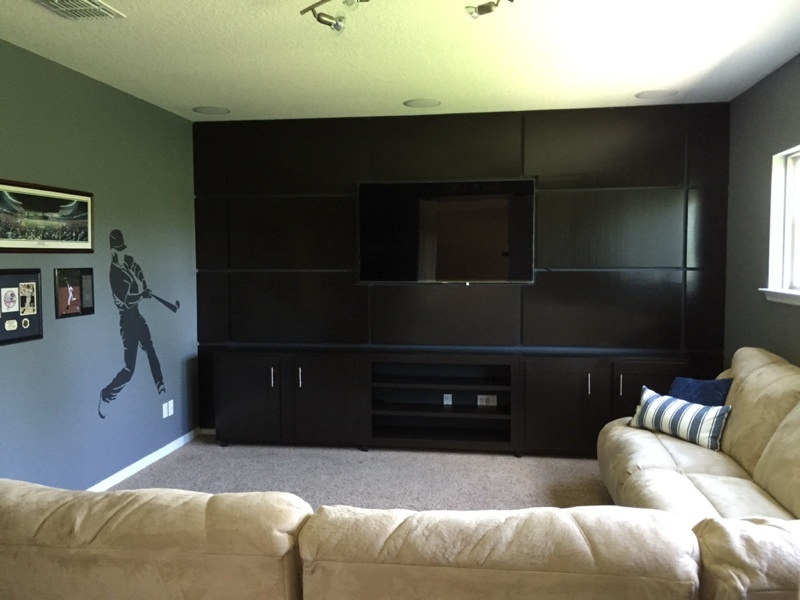 This contemporary mancave is perfect for the sports fan who roots for more than one team. 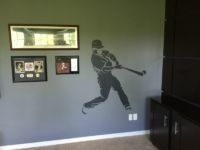 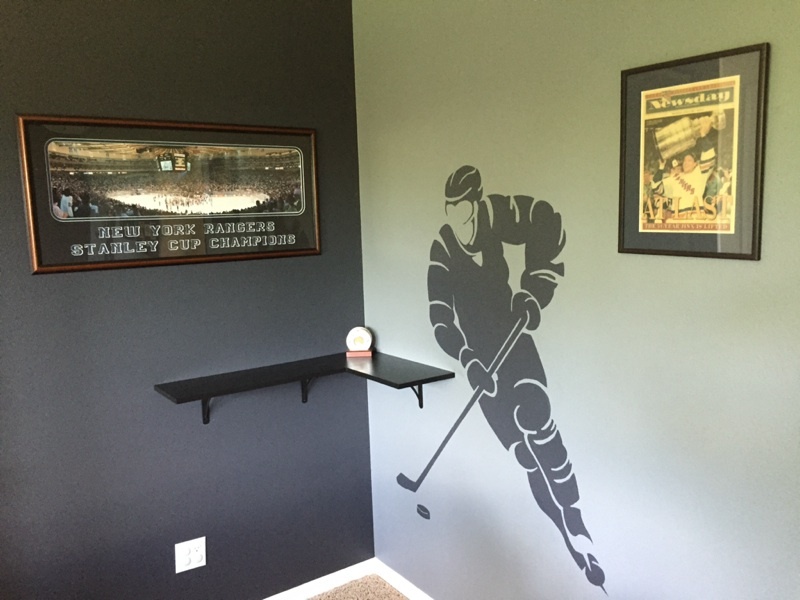 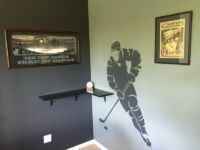 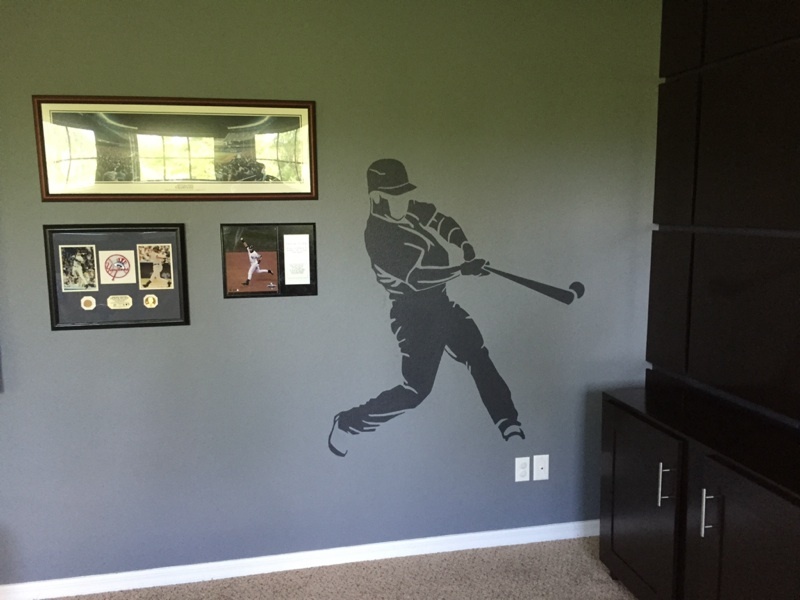 The walls are painted two tones of grey and hand painted sport player silhouettes adorn the memorabilia wall. 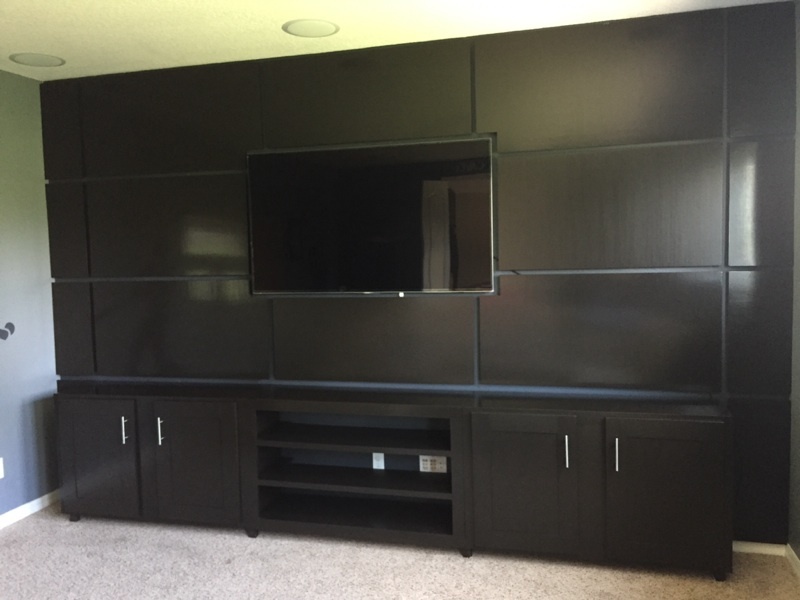 The focal piece is a floating grid pattern surrounding the a 50inch television made with stained wood panels. 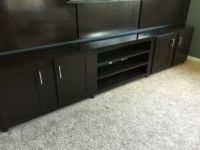 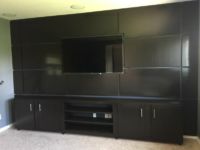 A 12 ft. wood stained entertainment unit sits below with plenty of shelving and storage. 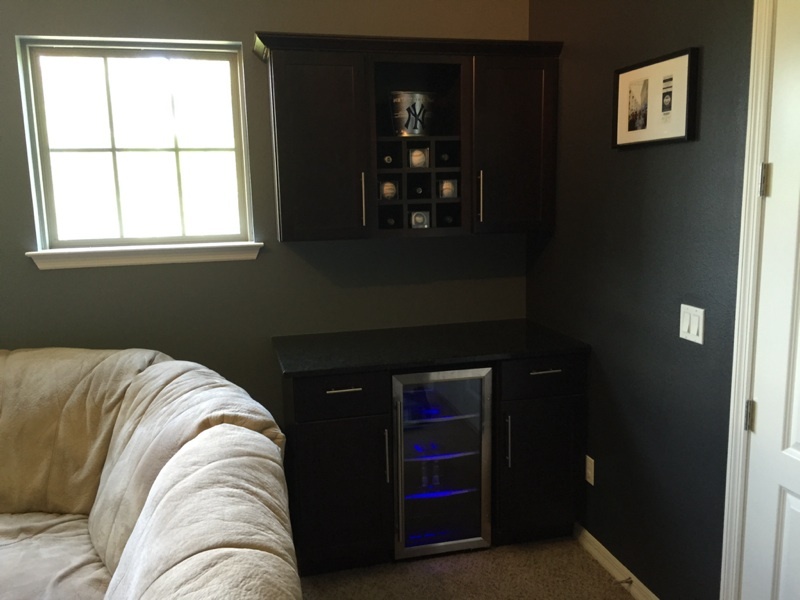 A bar and corner counter top finish the room.